Voluntary taxpayers are a rare breed, so why not reward them handsomely and foster feel-good, but our City Corporation believes Punish the honest, let the dishonest make merry. One reason why many citizens hate to pay taxes is that they see very little evidence that the money is being put to good use and more importantly the bizarre time consuming manner which the corporation adopts. It’s April, means if you pay your property tax you get a 5% rebate, but this year to get that rebate the honest tax payers is been made to go from here to there and come next week. We went to the Govaves office of the City corporation where there is office for Ward 1 to 26, We managed to find our ward and person sitting on the table was chit chatting casually with two persons. We asked about the property tax, he said give the documents (photo copy of last years receipt and also copy of the Self assessment form). He took it had a look and said come on Thursday. Then we reached the Old Corporation office where in we had to find out the person of the concerned ward and then he said come next Monday. This was a reminder of that TV serial starring Pankaj Kapoor which was a sitcom on the based on the rampant corruption and bribery seen in public offices. This year the Challan is to be prepared online but the payment is offline. The great work force of the corporation havent updated records so this time to make the online entry they need records hence the self assessment form which has details about the building and the construction area etc. Many were like come again to collect the challan then go to Belagavi One to pay it, we as honest citizens have come to pay the tax, we must be treated well as it is with this money that you are been paid. But here this is Sarkari kaam, and to add to it the Election duty excuse is there. Corporation always cribs about no money in their treasury but when people have lined up to pay why dont you treat them well and collect it rather than come next week, and we dont know what will happen next week, may be we get another Tareekh come tomorrow. Mis management at its peak and at the fag end of the year all the corporation staff head out to check the property if they have paid tax. Now there are people coming to their doorsteps seeking to payup and these people dont treat these honest tax payers well. The government must realize each one will pay up their taxes, just make it easy for them. Untill good sense prevails we will update you if we were able to pay the tax or we got another Tareekh. 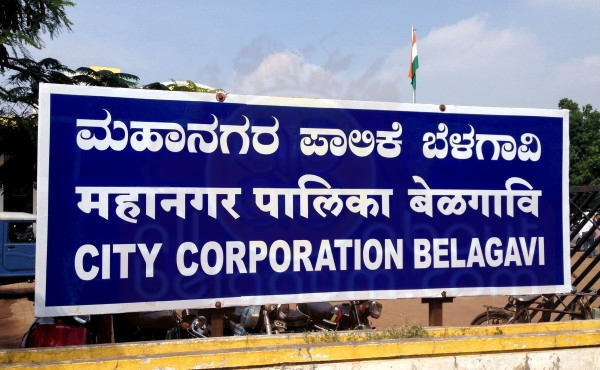 Hello, you are taking pain to publish the work culture of Belgaum smart City corporation, but your article is read only honest tax payers and NOT BY HONEST TAX COLLECTOR, find some other way to teach them lesson.